W. W. Norton & Company, 9780393343441, 240pp. Icelanders wanted to stop fishing and become investment bankers. The Greeks wanted to turn their country into a pinata stuffed with cash and allow as many citizens as possible to take a whack at it. The Germans wanted to be even more German; the Irish wanted to stop being Irish. 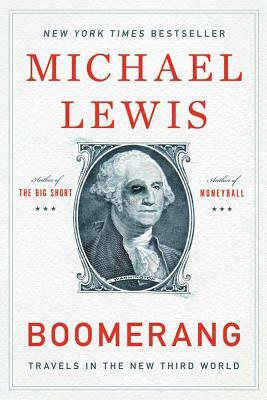 Michael Lewis's investigation of bubbles beyond our shores is so brilliantly, sadly hilarious that it leads the American reader to a comfortable complacency: oh, those foolish foreigners. But when he turns a merciless eye on California and Washington, DC, we see that the narrative is a trap baited with humor, and we understand the reckoning that awaits the greatest and greediest of debtor nations.